There are options for people interested in making a relatively inexpensive transition to using solar power. Solar Power Purchase Agreements can allow households to switch to solar power with fewer starting costs. According to Free Solar Panels Now (FSPN), under Solar Power Purchase Agreements (solar PPAs), some households can qualify for free solar panel installation and maintenance. In exchange, according to FSPN, households buy their solar power from the companies that established their solar panels in the first place, usually with the added benefit of reduced monthly utility bills. FSPN states that governmental incentives at both the federal and state level can make Solar PPAs cost-effective for companies. The biggest American companies giving households the option for solar PPAs are SolarCity and Sunrun. According to SolarCity, the company creates tailored solar panel designs, installs the solar panels, and then regularly monitors and maintains them. The company emphasizes its customer service skills and its ability to complete solar installations quickly. Sunrun prides itself on its ability to install free solar panels painlessly for its clients and provide for them throughout their mutual professional association. Sunrun says that they have serviced over 50,000 clients, and their clientele has collectively generated 344 Gigawatt hours of renewable solar power. The initial quotation and rooftop design from Sunrun is free, so homeowners lose nothing by investigating whether or not they qualify for Sunrun's services. Because the bulk of solar power expenses involve the initial installation costs, solar PPAs make switching to solar panels significantly more cost-effective. Without Solar PPAs, according to Consumer Reports, initial solar panel installations cost between $5,000 and $60,000 dollars. According to Southface Energy Institute (SEI) solar energy customers who purchase solar panels have the perception that what they save from reduced monthly utility bills will eventually compensate for the price of installing the solar panels. While the SEI states that it could take decades for Southeastern Americans to break even, the situation is different in the case of free solar panels. Not only will consumers who go this route not lose money, they may start slowly saving money on their power bills. According to FSPN, utility bills from conventional power companies will go up by six percent annually, while the utility bills from solar companies will increase 2.9 percent every year at the most. Because of this, people who get free solar panels will save money slowly but surely. As Sunrun states, people in states like California pay higher rates when their electricity consumption increases, so the savings may be even more substantial for them. 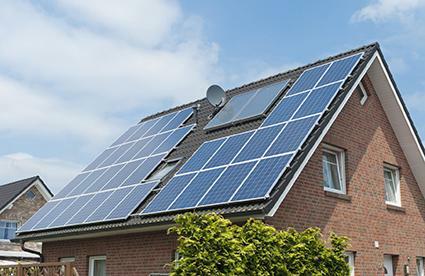 According to FSPN, solar PPA contracts often last for two to two and a half decades. Two decades is more than enough time for accidents to happen or for wear and tear to accumulate on the solar panels. Homeowners have enough time to take advantage of the maintenance and monitoring side of their solar PPAs. The widespread environmental benefits of switching to solar power are undeniable, and using free solar panels allows homeowners to counteract some of the drawbacks associated with solar power. People who are primarily interested in switching to solar power for economic reasons should evaluate their individual situations carefully, particularly if they are counting on any immediate rewards. George Musser at Scientific American writes that he had relatives that took advantage of Sunrun's free solar panel installations, but they could only expect to save 10 percent of their electricity expenses. Sunrun acknowledges that people who consume the most electricity will generate the highest savings. Consumer Reports states that paying for solar panel installations is not cost-effective for people with monthly electric bills that are under 100 dollars. While free solar panels would at least allow consumers to break even and save a small amount of money, people should not expect to save large amounts of money right away. One of the primary drawbacks to free solar panel setups is the fact that they will be unavailable for many households. The availability of services like Solar PPAs varies tremendously according to a household's location. In the United States, citizens in some states will have more solar PPA options than citizens in other states. There's a great deal of overlap between the territories covered by Sunrun and Solar City, so many U.S. states will be underserved. Sunrun only has locations in eleven states: California, Massachusetts, Pennsylvania, New Jersey, Oregon, Arizona, Hawaii, New York, Connecticut, Maryland, and Colorado. Solar City is active in Delaware, Texas, Arizona, Colorado, New Jersey, Washington State, Massachusetts, Hawaii, California, Oregon, New York, Washington D.C., Connecticut, and Maryland. Home design and location factors outside the control of homeowners impact whether or not no-cost solar panel installation is possible. Sunrun makes it clear that homeowners should not have roofs facing north, and their homes should not get too much shade. Sunrun also stresses that homeowners must have roofs that are in good condition. FSPN indicates that having a roof with a 30-degree angle makes a house more likely to qualify for a free installation, as does having a sufficient level of roof space and roof strength. Homeowners can limit their chances of ending up with a fraudulent contractor by focusing on getting the services of recognized companies, like Sunrun and SolarCity, that have reputations to defend and will be held accountable for the services that they provide. Anyone investigating a smaller, more local company should research the company and seek out related online reviews and references as a minimal precaution. In their research, homeowners can be on the lookout for any warning signs, such as a business without a permanent address or a business that refuses to give potential clients quotations. FSPN also recommends that homeowners actually monitor the installation work as it's completed, if the transaction goes that far. According to Consumer Reports, one of the best defenses any homeowner can have against solar power scam artists is simply having a solid understanding of solar power. Scam artists count on people's ignorance, and they tend to give themselves away when faced with knowledgeable people.